The following is a summary of the crafting and housing related changes included in this #ESOTU patch for the PC and Mac. NOTE: Currently, on the Public Test Server (PTS). Information here is from the patch notes published on their forums. Welcome to The Elder Scrolls Online v3.2.0 and the Clockwork City where you can enter Sotha Sil’s legendary creation and explore his mysterious mechanical world. In addition to new quests to enjoy, you’ll also come across two new world bosses and two delves, plus a new 12-player Trial: Asylum Sanctorium. We’ve also added 12 new item sets, two new Motifs, over 200 new furnishings, and a host of fun, new collectibles. For players that own The Elder Scrolls Online: Morrowind, we’ve added a new Battleground game mode – Crazy King – where your team must seize a capture point location that jumps randomly around the map. It’s, well, crazy! The base game update introduces the highly-anticipated Transmutation system which allows you to change the traits on your gear, including weapons and armors. We’ve also added a trait tracker that will allow you to see whether or not you’ve researched the unique trait on an item. As always, we’ve supplied everyone with a character template that will let you access the Clockwork City immediately. We’ve also been working hard to improve our templates and what they offer, which is detailed below. We can’t wait to hear what you think of this latest update, which is approximately 3.7GB in size. Please be sure to utilize the in-game /feedback or /bug features, or post in the official discussion threads on the forums. Thanks, and have fun! Battleground queues are now divided into 10-49 and 50. This means you will only have level 50 players playing against other level 50 players. Clockwork City comes with over 40 new achievements to pursue, with 6 new titles to unlock! Turn in your Crafting Writs at any Writ turn-in site throughout the world, regardless of crafting rank. The level 50 Battleground queue is now CP-enabled. Merchants all over the world now sell Empty Soul Gems. Counter traits will now be discovered when they prevent an expected effect from being incorporated into an alchemy craft. AvA Announcements has been added to the Social settings. You can now Filter your furnishings by theme! Changed the “Lorebook Discovered” center screen message to an alert (top right message) so it no longer blocks the text of the lorebook you may be trying to read. Repeatable Bounties: The Clockwork Facilitator and Novice Holli, both residing in the eastern portion of the Brass Fortress, each offer daily bounties to investigate and overcome dangers at these locations. (5) Adds 400 Spell and Weapon Damage to your Class abilities. (5) When you deal damage, you have a 15% chance to gain unerring mechanical vision for 5 seconds, causing your attacks to always be a Critical Strike. This effect can occur once every 18 seconds. (5) When you deal damage, you have a 10% chance to summon a Verminous Fabricant that charges the nearest enemy, dealing 10,000 Shock Damage to all enemies in its path, knocking them into the air, and stunning them for 2 seconds. This effect can occur once every 10 seconds. (5) When you deal damage, you have a 10% chance to call a murder of crows around you for 12 seconds. Every 3 seconds a crow will be sent to peck the closest enemy within 12 meters of you, dealing 4000 Physical Damage. This effect can occur once every 15 seconds. (5) When you take damage, you have a 25% chance to overload your circuits, applying Concussion to enemies within 8 meters of you and healing for 1000 Health for each enemy hit. This effect can occur once every 10 seconds. Asylum Sanctorium (Asylum Weapons) – The Perfected version drops in Veteran difficulty, while the normal version drops in Normal difficulty. The two CANNOT be mixed together to complete a full set (for Dual Wield and One Hand and Shield). The only difference between the two are numerical values. Associate Zanon of the Clockwork Apostles is near to completing his study of Factotum construction, and has made a fascinating discovery in his research. After finding a discarded Factotum head in a junk pile, he was alarmed to discover that it could still speak! If you respond to Zanon’s posting on the board within the Brass Fortress, you may assist him in reassembling this unique construct and discovering its true purpose. This new Target Dummy item, the Precursor, can be obtained by finding all of the Precursor’s parts throughout Clockwork City and reassembling it. Though only slightly more durable than a typical Public Dungeon boss, it dryly quips as you sharpen your blade upon it. The Apostle Style, once known only to Sotha Sil’s disciples, is now available for crafters! The Chapters for this style, and its Style Item, Polished Brass, can be obtained by completing certain Daily Quests in Clockwork City that aid the Brass Fortress and combat Clockwork foes. The Ebonshadow style, emblematic of Nocturnal, is also available for crafters! The Chapters for this style and its Style Item, Tenebrous Cord, can be obtained by completing certain Daily Quests in Clockwork City that aid the Blackfeather Court or pit you against shadowy foes. Over 200 new furnishings have been added to the game through various sources, many of which can be purchased through the Housing Editor or crafted. The associated recipes and additional furnishings can be found throughout Clockwork City, with sourcing including everything from Justice activities and monster drops, to various containers and merchants. Two motifs have been added to the Horns of the Reach DLC game pack, in conjunction with two new motif achievements. The Dreadhorn style is now available for crafters! The signature style of the invaders of Falkreath Hold can be learned from Chapters obtained by defeating Domihaus, the final boss of the Falkreath Hold dungeon. The Style Item, Minotaur Bezoar, can be obtained by defeating bosses in Falkreath Hold. The chance of obtaining Chapters and Style Items increases with the difficulty of the dungeon. The Bloodforge style is now available for crafters! Used by the denizens of Bloodroot Forge, the Chapters for this Motif can be obtained by defeating the Earthgore Amalgam. The Style Item, Bloodroot Flux, can be obtained by defeating bosses in Bloodroot Forge. The chance of obtaining Chapters and Style Items increases with the difficulty of the dungeon. Transmutation can only be done at a Transmute Station, which is a new service station found in the Brass Fortress. Home furnishing versions of these stations may also be purchased for Writ Vouchers from Rolis Hlaalu the Master Writ Merchant. Transmutation requires Transmute Crystals, precious resources occasionally received for successfully completing Veteran PvE activities such as Pledges, Trials, and Arenas, and several PvP sources such as Rewards for the Worthy, Battleground end of match rewards, and AvA end of campaign rewards. Transmute Crystals are an account wide, capped currency which cannot be banked or traded. Transmutation requires having previously researched the desired trait. Inventory views have a column dedicated to displaying this iconography. The Deconstruction screen will now group items based on trait status, such that items that you are more likely to deconstruct are sorted to the top. The Sell screen at Vendors will list Ornate items at the top. With the ability to more easily determine your own trait knowledge, and the ability to change traits depending on your trait knowledge, you should now enjoy easier management of your inventory and bank and greater control over the items you wield and wear. 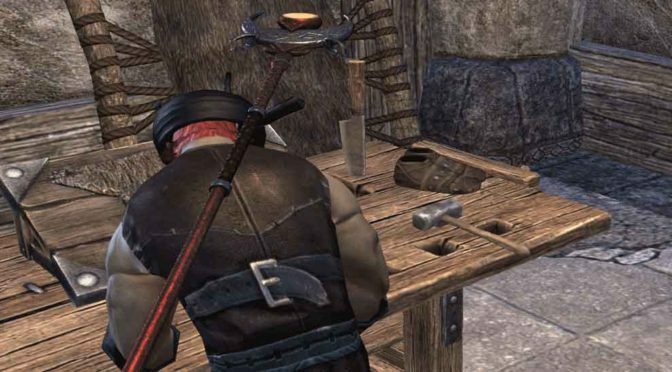 With the Clockwork City base game update, you may now turn in your Crafting Writs at any Writ turn-in site throughout the world, regardless of crafting rank. Two new homes are available to preview in this update. Both of these Notable Homes can hold 350 Traditional Furnishings (700 with ESO+), 5 Special Furnishings (10 with ESO+), 40 Collectible Furnishings (80 with ESO+), and 5 Special Collectibles (10 with ESO+), as well as up to 24 other players. The Orbservatory Prior: Located in the Clockwork City, Sotha Sil’s designation of this mountaintop laboratory as the “Orbservatory Prior” clearly indicates that the site was an experimental or test version of what he had in mind-though whether he ever built an “Orbservatory Final” is unknown. Pariah’s Pinnacle: Located in Wrothgar, the grand and majestic mountaintop retreat of Baloth Bloodtusk was sealed off in the First Era by King Joile, but its ancient Orcish halls were recently reopened by order of King Kurog. The Champion Point cap has been raised by a total of 30 points (10 in each red/blue/green constellation) for a total of 690 points. The Champion Point experience curve has been automatically adjusted with this new cap, so that earlier Champion Points require less experience and can be earned faster. Changed the name of the achievement furnishing “Telvanni Device, Static” to “Telvanni Device, Rotating”, and updated its corresponding furnishing tags to be more accurate. The achievement furnishing item “Tapestry, Morag Tong” now has an accurate icon. If you owned the Amaya Lake Lodge prior to the release of Update 15, the planter between your front steps is now a furnishing and can be moved. Adjusted the Blade of Woe to further reduce the likelihood of becoming stuck in nearby objects when it is used. The Keptu-Horn Skull Sallet hat now correctly indicates it is obtained by completing the Bloodroot Forge Challenger Achievement. Hakkvild’s High Hall now correctly displays its map when prompted. You will no longer occasionally receive fish associated with Cyrodiil when fishing in Imperial City. The Master and Maelstrom unique enchantments have been rebuilt as Item Sets, with the new Asylum Weapons following suite as an Item Set and not an enchantment. This means you can now safely enchant and re-enchant these weapons, and still gain the special ability-altering benefit. Fixed an issue where the reduction to Spell and Weapon Damage applied by the Weakening Enchantment was being treated as a buff instead of a debuff. Fixed an issue where the visual effects of the Fiery Weapon enchantment were displaying incorrectly. Defiler: The monster summoned by this Item Set now spawns next to the enemy you critically hit, instead of spawning next to you. Earthgore: This Item Set’s proc will now display a friendly telegraph to your allies. Fasalla’s Guile: Fixed an issue where the proc from this Item Set would aggro neutral monsters around you. Sword Singer: Fixed an issue where this Item Set’s bonus was not modifying the Momentum skill. Torug’s Pact: Fixed an issue where this Item Set’s bonus was not applying to the Poisoned Weapon enchantment. Viper’s Sting: Fixed an issue where the damage from this Item Set’s proc could be blocked. Fixed various assets that were floating, stretched, or appeared to be missing. We fixed various assets to prevent players from seeing through them or into them. Made minor adjustments on the visual effects for a small number of weapons for increased consistency. Your character’s helm will now hide correctly when crafting, even when it’s an Abah’s Watch style helm. Fixed an issue that caused some characters to not display in high resolution until you were very close to them. The chest on female player characters will no longer be overstated while wearing the Thieves Guild Voidsteel armor. All adornments, eyelashes and whiskers now appear on Khajiit player characters when the Minotaur Homespun helm or Mazzatun Homespun helm is equipped. Resized the Dunmer Rawhide shoulder pads for female player characters. Fixed an issue where the Upriver Striped Sash-Kilt was appearing with darker tints. Fixed an issue where the tassets were noticeably lower on the Glass and Frostcaster Iron Armor sets. Fixed an issue where some parts of the Imperial Chancellor Costume and Dark Brotherhood Rawhide Armor were appearing larger than intended. The Ra Gada Rawhide helm and loin cloth from the Malacath Iron armor will now appear consistently. Werewolf heavy attacks will now play their full animation. Decreased the frequency of the Warden’s Feral Guardian bear sniff animation. Fixed an issue where you were unable to see your bow animations while sneaking in third-person mode. Rolis Hlaalu now sells a furnishing Transmute station in exchange for Writ Vouchers. Fixed a number of minor grammatical issues in various motif texts. Master Writs will now call for more diverse crafting styles, such as Abah’s Watch, Hollowjack, or Redoran. You can use the Soul Trap ability or the Soul Lock passive to fill these Soul Gems. Mystics are still the sole purveyors of pre-filled Soul Gems. The Wabbajack no longer grants Ultimate when used. Fixed a rare issue that allowed players to loot multiple copies of the same quest item. Added an icon to the Mud Ball item and Mud Ball Pouch Memento’s ability. Now, when you are struck with a mud ball, the ability on your character UI screen will have an icon. Petals from The Cherry Blossom Twig item and Cherry Blossom Branch collectible effects will now more display more consistently on uneven terrain. “Plea to Maximinus” is no longer part of the Notes and Memos collection. “Snowmead’s Missive” can still be found if you already started the quest Labor Dispute by talking to Eitaki Snowmean. Corrected the default nickname of “Snugpod” from “Eldenroot House” to “Elden Root House”. Fixed an issue that could cause the owners of several homes to not display at the correct location on their in-game map. Adjusted the text on a number of housing entrance and exit doors to be more consistent. The achievement furnishing “Decoy Elder Scroll” no longer has a hitch when you interact or place it. Player characters of all races will now sit properly on the Ashen Daedric Bench. Removed a flag from the “Orsinium Statue, Honor’s Rest” that caused the item to have a “Unique Equipped” keyword. Adjusted a number of sofas and chairs to fix an issue where you could become partially stuck inside the object. The achievement furnishing item “Totem of the Reach” now correctly has collision after being placed. Several plant and stone furnishings available from the Eastmarch Homes Goods merchant no longer have transparent surfaces at their base. In this update, we’ve been hard at work improving the performance of the client. We’ve overhauled how the client handles animations, significantly reducing memory requirements. Additionally, we’ve made significant optimizations to the Scene Graph. Together, these two additions have resulted in significant gains in frame rate and improved load times into areas with many characters and/or buildings. Made improvements to the overall frame rate. Improved load times into areas with many characters and/or buildings. Fixed a number of infrequent game crashes. The Collectible tab in the Quickslots menu has been broken out into Mounts, Pets, Appearance, Mementos, and Assistants tabs. Adjusted the layout of the Currency section of inventory to support additional currencies, as well as to include a separation between currencies your character holds versus currencies that are account wide. Fixed an issue where the fence sell warning text wouldn’t display the item name. Fixed an issue relating to Memento cooldowns occasionally not updating correctly in the Collections menu. Changing your quickslot keybind on a Chroma keyboard will now work properly. The window that opens when selecting a linked achievement will no longer appear behind other UI elements. Fixed an issue in the Achievements menu where the progress bars weren’t updating between sections. Fixed an issue where navigating to an achievement from a Dye Station would not take you directly to the achievement in the corresponding UI window. Updated the color of the reward preview display in the Dungeon Finder’s random dungeon menu to reflect the quality of the set items received.